Fiji wedding quotes. 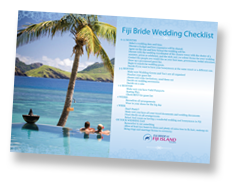 Fiji wedding packages for all budgets. Please complete the form below and we’ll get back to you shortly with a Fiji wedding quote and more information about Fiji wedding packages that suit your requirements and budget. Please enter any additional information about your wedding, honeymoon or holiday that you feel is relevant.